What started out as a night of fun for Joel Ramer and his girlfriend, ended with Ramer emptying out his bank account. 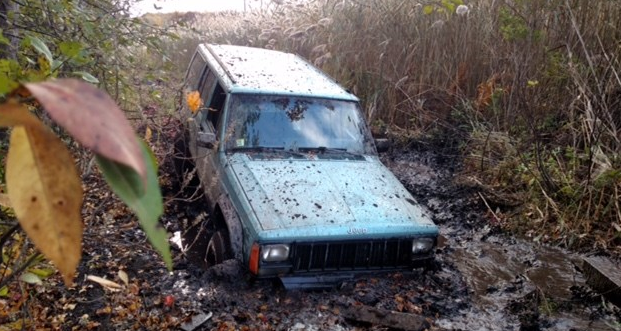 The Walpole, Massachusetts resident and his girlfriend were having some good ole off-roading fun in his old Jeep Cherokee when he landed in a mud pit. After calling for help, the Walpole Police Department arrived with their go-to towing company—Assured Collision. It took the company 12 hours to pull the SUV out of the mud pit, and when the feat was finally done, Ramer found himself in a bit of a money pit. Assured Collision is billing him $16,000 for an on-scene supervisor at $1,250 per hour. He is also being charged more than $10,000 for an off-road recover incident response unit and a $5,000 fee for dangerous condition liability insurance. The total outcome comes to $48,435. The Association says the industry average fee for an on-site supervisor is between $175-323 an hour. It has also never heard of dangerous condition liability insurance, for which Ramer was billed $5,000. After the mud pit and the tow, the Jeep Cherokee is now completely totaled. Not only are the frame and leaf spring broken, but so is the drive shaft. As if this hefty towing bill wasn’t enough, Ramer also got arrested and cited for trespassing and disturbing the peace. He was unknowingly off-roading on private property belonging to the utility company.